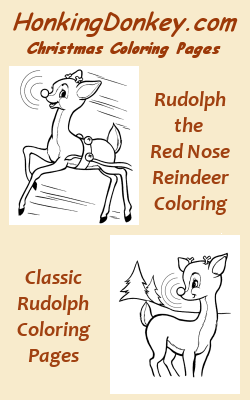 Welcome to our Rudolph the Red Nose Reindeer coloring pages sheets. Our Rudolph the Reindeer Coloring Pages and coloring pages feature some of the favorite scenes of Rudolph to help tell the story that kids love for this special holiday. Rudolph the Red Nose Reindeer Coloring Page Sheets make a great Pre-School, Kindergarten, or First Grade activitie for young kids during the Christmas time. Our printable Rudolph the Red Nose Reindeer coloring pages are a great way to keep those little hands and minds busy over the holiday! Print several of our Rudolph coloring pages for those times when you need give them something fun to do, or just need an little peace and quiet ! Our Rudolph the Red Nose Reindeer coloring pages are based upon the origional Rudolph coloring pages that were created by Montgomery Ward Department Store as a giveaway coloring book during the 1939 Christmas season ! The story of Rudolph the Red Nose Reindeer became famous with the popular song sung by Gene Autry, released in 1949. In 1964, the tale was adapted into a stop-motion anamated Christmas TV special show that premiered on NBC with a voice-over by Burl Ives, the TV anamation drastically altering the original telling of the story. This anamation has become an American classic TV that is replayed every year. Printable Rudolph Coloring Sheets are free and easy to use, just get a crayon or colored pencil and have fun ! Print several of our Rudolph the Red Nose Reindeer coloring pages to talk about all the wonderful things that kids can see at Christmas time ! 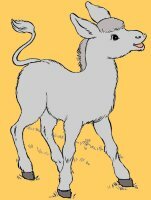 Our Rudolph coloring pages are a great teaching aid to teach kids the history of the uniquely American "Rudolph the Red Nose Reindeer" Story ! !